Imagine: That lump in your stomach when you realize all of the bags at baggage claim are accounted for, except for the one that didn't arrive. 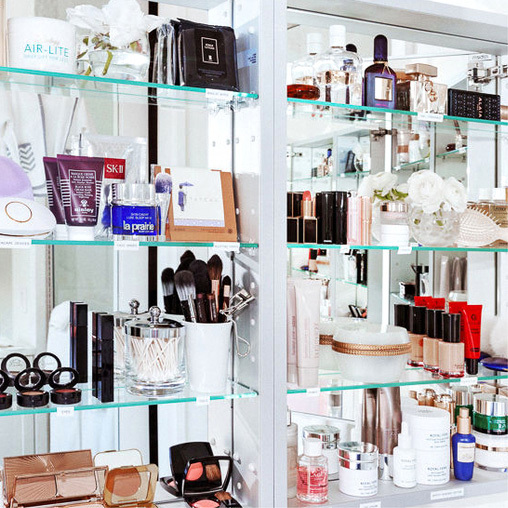 And it's a big one—in size, yeah, but also in importance, because it contains all of your skincare and tools for a photoshoot. The one that you've traveled across international borders to work on. Pure, unadulturated panic. I bought the cutest red makeup travel case with clear compartments—the best for finding and grabbing products quickly. It also was big enough to hold everything I needed and opens up like a discrete makeup station while we traveled from one location to the next. Of course this sort of thing will depend on what the local drugstore carries, but this is a good example of what to look for in a makeup travel case or makeshift set bag: convenient, exhaustive, and huge. Garnier Micellar Water is solid a alternative to Bioderma Créaline as an efficient and gentle makeup remover—great for cleaning up the edges of liquid liner or lipstick without causing feathering or bleeding like an oil-based cleanser. Also like Bioderma, it’s a great cleanser for refreshing and cleansing a full face of makeup and pollution after a full day outdoors. My kit always has Chanel’s Demaquillant Yuex Intense for taking off serious eye makeup or bright red lipstick. L'Oréal Hydra Total 5 was pretty equivalent in its stubborn makeup removal ability—I wasn't at all mad at it. Nivea Essentially Enriched Lotion has been my favorite drugstore lotion for photoshoots and personal care for ages. It leaves a super silky sheen on the skin and photographs beautifully. My main kit staple for body is Egyptian Magic, and if you ask me, nothing compares to its luxe shine and moisture. Not to mention that it’s packed with yummy, natural ingredients. But the Nivea is a solid dupe. I almost forgot it wasn't Egyptian Magic. This one is less of a challenge because Maybelline Waterproof Great Lash is already a staple in my kit, so I just needed to buy a new one. It’s the blackest black, buildable, and non-flaking. What else could I ask for while shooting in the tropics? Necessary for a photoshoot on the beach. My favorite body sunscreen of all time is Neutrogena Ultra Sheer Body Mist Sunscreen Spray with SPF 50 or higher. It's everything the product name claims, but unfortunately, I couldn't find it at Walmart. Instead I opted for Nivea's Sun Protect and Refresh SPF 50 Spray. It sprays on a bit milky, but once rubbed in, transforms into a beautiful clear sheen. It feels a bit heavier than the Neutrogena, but it kept my models from burning, which is all it needed to do. 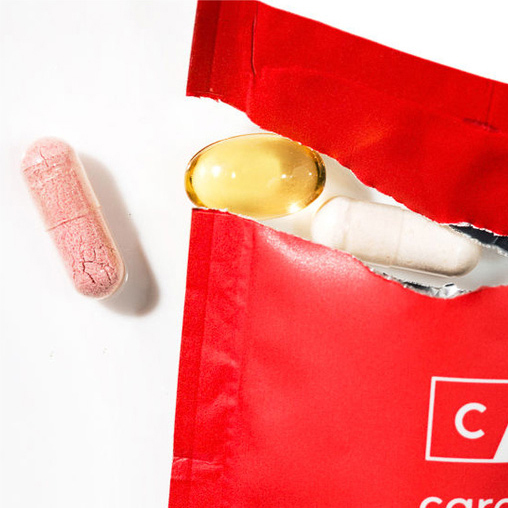 Crucial but less specific—I just grab whatever's available in smaller travel packets. Unfortunately, no Q-tips compare to my tiny Muji ones. Beggars, unfortunately, can’t be choosers.